My past research focused on the Romance Epic in late medieval Italy and brought to light the huge narrative cycle of Florentine author, Andrea da Barberino. Since then, I have edited, or am editing, previously unpublished Tristan texts in Italian. I have also presented papers and published a co-edited book on the Arthurian romances in Italy. I also have a long-standing interest in opera; my first degree was in music and I studied bel canto for several years, performing in many opera choruses and serving as Italian coach for the Madison Opera. Co-editor with Julie Human. Courtly Pastimes: Selected Acts of the Fifteenth Triennial Congress of the International Courtly Literature Society, in preparation. Il Tristano corsiniano, edition with English translation. Cambridge: Brewer, 2015. Co-editor with F. Regina Psaki. The Arthur of the Italians: The Arthurian Legend in Medieval Italian Literature and Culture. Arthurian Literature in the Middle Ages, VII. Cardiff: University of Wales Press, 2014. "Dante Equestrian." In "Accessus ad Auctores." Studies in Honor of Christopher Kleinhenz. Eds. Fabian Alfie and Andrea Dini. MRTS, 397. Tempe, AZ: Arizona Center for Medieval and Renaissance Studies, 2011. Pp.157--68. "Literary Evidence for Multilingualism: The Roman de Tristan in its Italian Incarnations." In Medieval Multilingualism: The Francophone World and its Neighbours. Eds. Christopher Kleinhenz and Keith Busby. Turnhout, Belgium: Brepols, 2010. Pp. 145--54. "Andrea da Barberino: prospettive vecchie, nuove e . . . lontane." In Paladini di carta: Il modello cavalleresco fiorentino. Ed. Marco Villoresi. Università degli Studi di Firenze, Studi e Testi, 28. Roma: Bulzoni, 2006. Pp. 31--40. “The Narrative World of Andrea da Barberino.” In Firenze alla vigilia del Rinascimento. Antonio Pucci e i suoi contemporanei. Atti del Convegno di Montreal, 22-23 ottobre 2004. McGill University. Ed. Maria Bendinelli Predelli. Firenze: Edizioni Cadmo, 2006. Pp. 11--20. “The Anti-Romances of Andrea da Barberino.” In Courtly Arts and the Art of Courtliness. Proceedings from the 2004 Courtly Literature Meeting. Eds. Keith Busby and Christopher Kleinhenz. Cambridge: Boydell and Brewer, 2006. Editor, Schaum's Easy Outlines: Italian. New York: McGraw-Hill, 2004. Editor, The Italian Novella, collection of essays. New York and London: Routledge, 2003. Il Tristano panciatichiano, critical edition with English translation. Cambridge: Boydell and Brewer, 2002. Editor, Modern Retellings of Chivalric Texts. Aldershot, England: Ashgate, 1999. Andrea da Barberino and the Language of Chivalry. Gainesville: University Press of Florida, 1997. Since 2001, I have been teaching at the University of Kentucky. 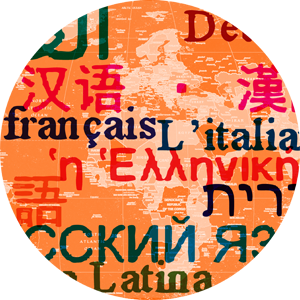 Courses include Italian 101 through 202 as well as MCL 591 Practicum in Italian, Italian Paleography, "The Italian Novella" and "Dante's Comedy."